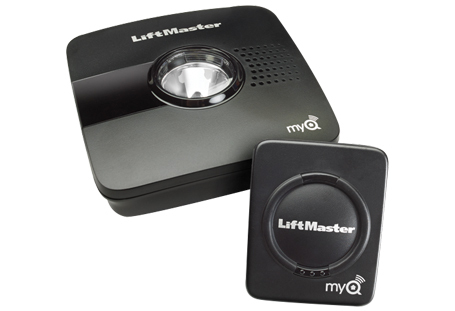 The LiftMaster® MyQ® Garage Universal Smartphone Garage Door Controller includes (1) Door Sensor and (1) Wi-Fi Hub. With it you can control up to two garage doors at once (requires extra door sensor, sold separately) and up to 16 MyQ-Enabled devices. The Wi-Fi Hub wirelessly communicates with the garage door opener over your home’s Wi-Fi. Alerts can be received as email or pop-up (push) notifications on your mobile device so you always know the status of your garage door and home lighting. 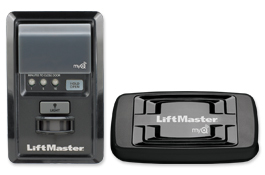 The LiftMaster® MyQ® Retrofit Package includes (1) MyQ® Control Panel and (1) LiftMaster® Internet Gateway. With it you can upgrade your LiftMaster® garage door opener manufactured since 1998 to the new MyQ® and Security+ 2.0™ radio systems so you can control and manage your LiftMaster® garage door opener and other MyQ® accessories from anywhere in the world by using your smartphone, tablet or computer. The LiftMaster® Internet Gateway is compatible only with the following LiftMaster® products: LiftMaster® Security+2.0™ garage door openers with a yellow learn button (models 8500, 8550, 8557, 8587, 8355, 8360), LiftMaster® Security+2.0™ gate operators (models CSW24V, CSL24V or LA500), MyQ® Control Panel (model 888LM) and related MyQ® accessories (823LM and 825LM). 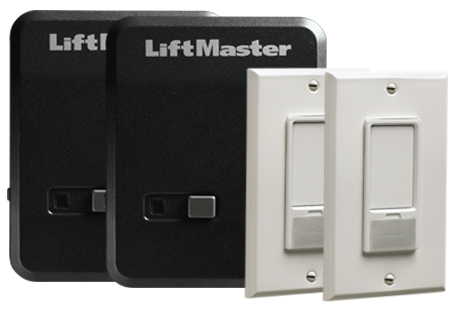 The LiftMaster® Lighting Control Package includes (2) Remote Light Controls and (2) Remote Light Switches. With it, you can control home lighting with your smartphone or garage door opener remote control. Requires the LiftMaster® Internet Gateway for smartphone control. The LiftMaster® Remote Light Control lets you control your home lighting with your garage door opener remote control or your smartphone via the LiftMaster® Internet Gateway. The LiftMaster® Remote Light Switch replaces any single light switch, allowing control of the lights remotely via the LiftMaster® Internet Gateway or garage door opener remote control.